The boyfriend likes to tease me that I always have to take pictures of my food whether it be at home or in restaurants. What can I say? If it looks appealing, then I may as well snap a quick photo of it to share with others! Here are just a few appetizing food photos from our recent vacation. My apologies for the poor quality of some of the photos – they were quickly taken with my smartphone before I chowed down. Enjoy! 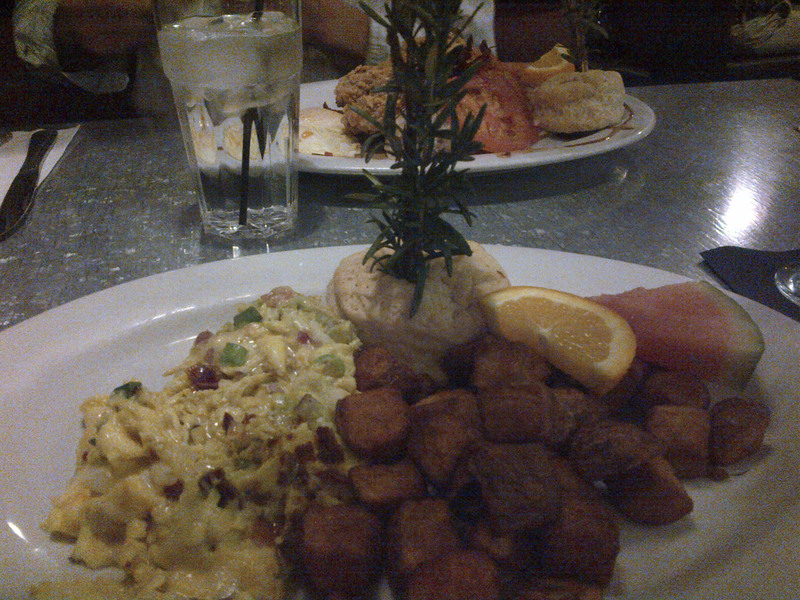 In a previous blog post on Las Vegas I mentioned eating breakfast at Hash House a Go Go in the Quad. I highly recommend this place. They serve large portions and the food is excellent. And yes, that’s a tiny tree sticking out of the biscuit! 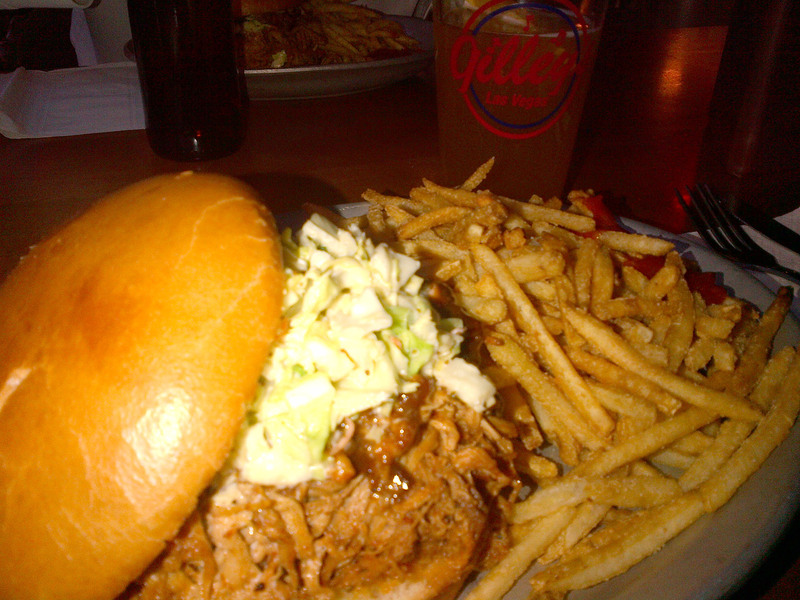 Pulled pork at Gilley’s saloon in Treasure Island in Las Vegas. The fries were great – I prefer thin crispy fries. 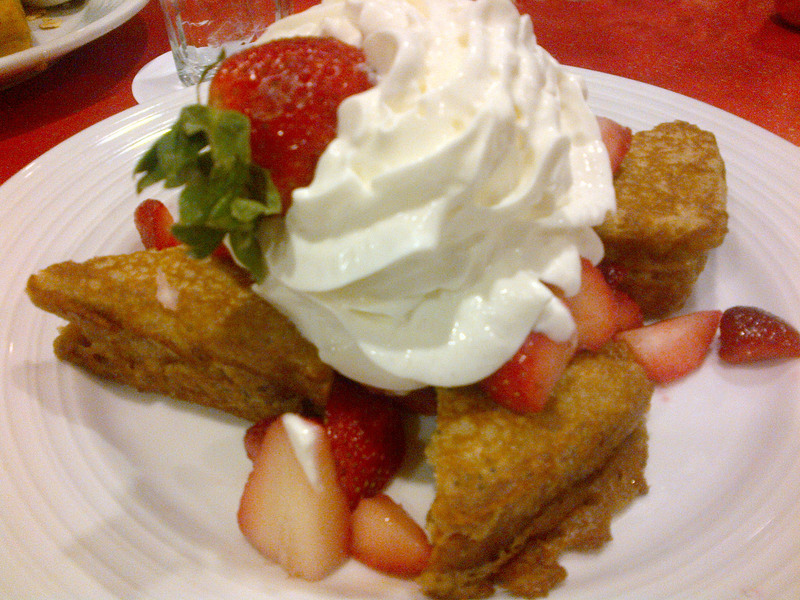 Strawberry French toast for breakfast at the Luxor in Las Vegas. This was loaded with delicious strawberries and the French toast was lemon poppyseed. 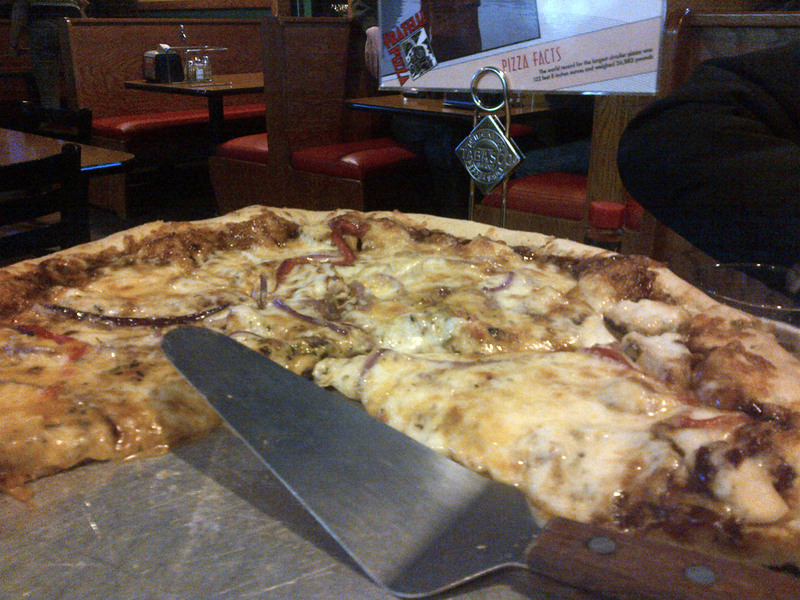 Pizza supper in Flagstaff, Arizona. This place claimed to have the best pizza in town and it certainly was tasty! 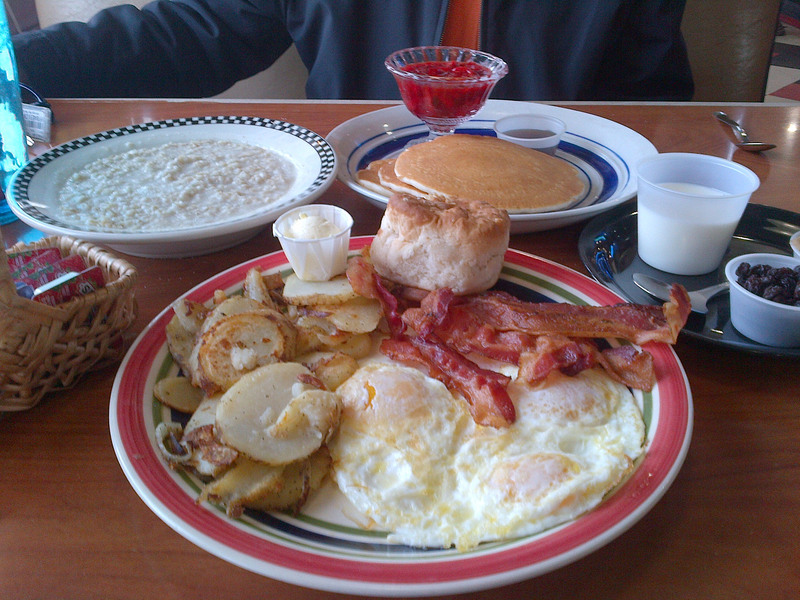 Breakfast at a 50’s diner in Flagstaff, Arizona. (With grandma’s homemade oatmeal in the background). I realize this photo isn’t of food but it deserves a mention. 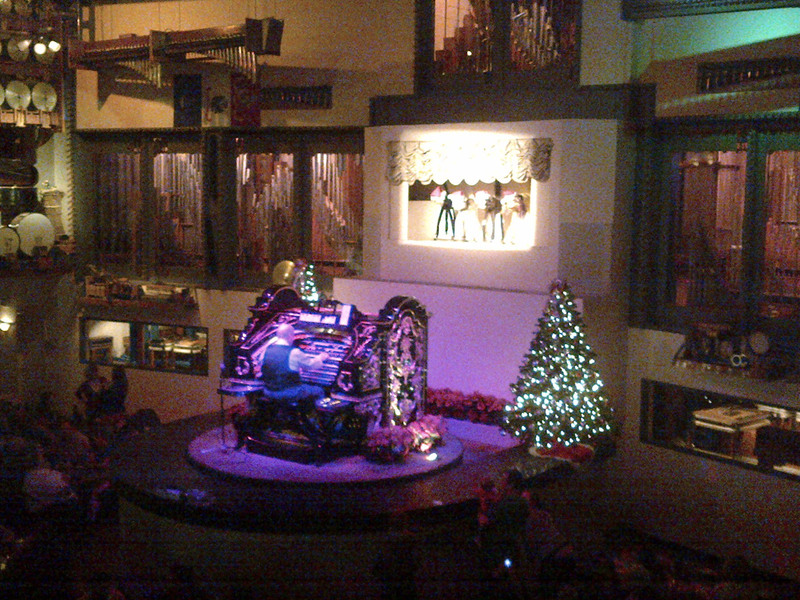 This photo was taken at Organ Stop Pizza in Phoenix. Not only does this place serve delicious pizza (we scarfed it down before I had a chance to take a photo), but an organist plays the world’s largest Wurlitzer Theatre Pipe Organ while you’re eating (pictured). He even played the Canadian anthem while we were there, which was met with loud cheering from the crowd. Worth the stop if you’re in the area!